Welcome to our website. 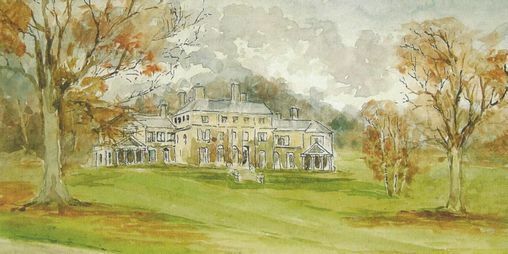 Located 3½ miles east of East Grinstead, Hammerwood Park was built in 1792 by Benjamin Henry Latrobe (1764 – 1820), architect of the White House and US Capitol Building in Washington D.C., and many others (including Ashdown House, near Forest Row). One of the first examples of Greek Revival architecture in the United Kingdom, the house was converted into flats in the 1960s and purchased by Led Zeppelin. 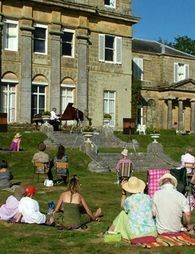 Rescued from dereliction by the Pinnegar family in 1982, it remains one of Britain's best-kept secrets; an architectural gem, and a family home. Today, as well as providing a venue for concerts and filming, Hammerwood is also open to the public in summer, from 1 June to the end of September on Wednesdays, Saturdays and Bank Holiday Mondays, with a tour at 2:05 p.m. For more information on visiting, see here.